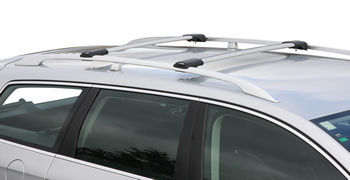 The Whispbar roof rack has a wing shaped bar for the ultimate in reduction of noise and drag. 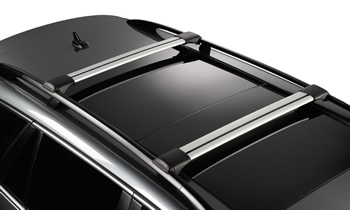 The rail bar rack is used on vehicles that have rails that run along the side of the roof. They have a simple mechanism for quickly adjusting the bar length and clamping to the vehicle rail. The flush style cross bar gives a low profile sporty look which is popular where aesthetics are an important consideration. They can enhance the utility of your vehicle without looking obtrusive. The cross bar incorporates a T-channel which is accessible by removing the key locking end covers. This can be used to fit accessories that have a T-bolt attachment. Allow about 20 minutes for assembling and fitting a pair of cross bars the first time on most vehicles. Transferable The flush cross bar Whispbar has 100mm of length adjust and will fit some other vehicles with rails.